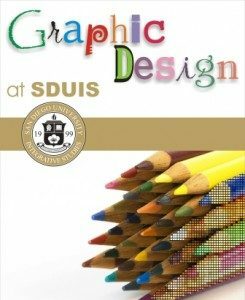 San Diego University for Integrative Studies offers a non-degree certificate program in Graphic Design. This course curriculum emphasizes packaging, typography, identity branding and print and computer technology. Students learn concept development, strategic planning, fundamental techniques and verbal presentation skills in a career-focused classroom setting.Participants of the SDUIS Certificate in Graphic Design will gain practical design and typography skills, as well as real-world knowledge in the uses of the computer as a design tool. The primary focus of all courses is the conceptual, creative process. The program will provide participants design, drawing and computer graphics skills necessary to enter the graphic design field. Each participant in the Graphic Design Certificate program must successfully complete seven (7) courses on the components of effective leadership for a total of 40 units.